Inspired by a pair of 1950s pearl drop clip on earrings, these are utterly chic and delicate to take you from day to evening. Sometimes the most refined jewellery makes the biggest style impact and our Pearls of the Fifties Clip On Earrings are the perfect example of this. Featuring a simple silver tone twist adorned with a trio graduating shimmering Austrian crystals leading to a light ivory faux pearl droplet, this chic pair features a discrete hinged screw-back fastening for utmost comfort. Inspired by pearl clip on earrings from the 1950s, they have an air of classic Grace Kelly style. 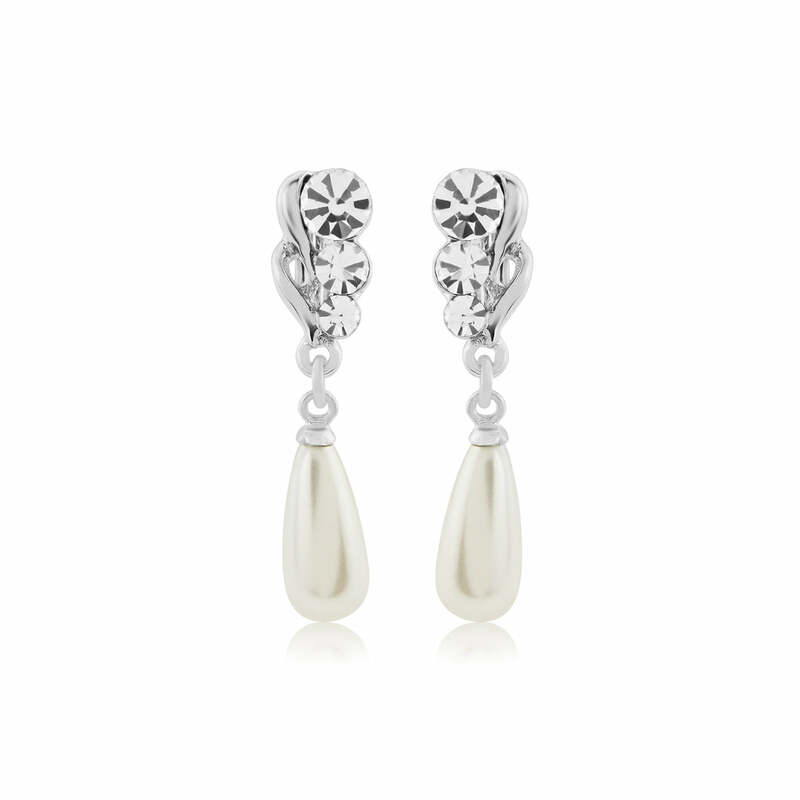 Perfect if you favour petite drop earrings or are looking for a subtle pair to take you from day to evening. A graceful design, Pearls of the Fifties are the answer to the wedding accessory prayers of brides-to-be and bridesmaids without pierced ears. Whether worn alone for subtle special day style or with a dainty pendant and pearl headband for beautiful 50s elegance, this pretty pair are sure to become a favourite beyond the big day too.